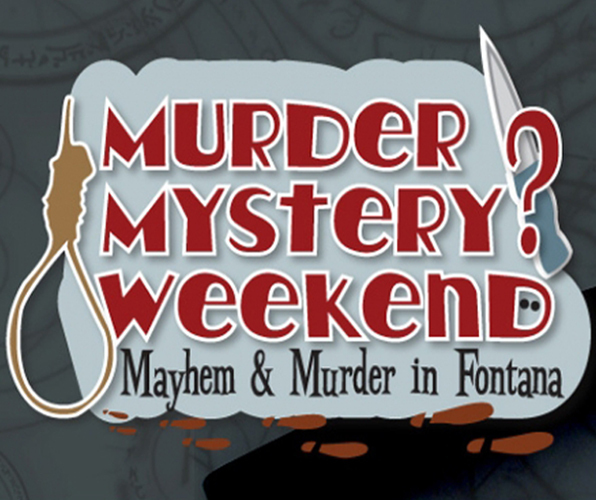 Center Stage Fontana is proud to present our special Murder Mystery Weekend. This event features a full 3 –course luncheon or dinner intertwined with devilishly fun entertainment. From the moment the guests arrive they are greeted by the quirky cast of characters that will give them a glimpse of what is about to come The show is presented in three acts between courses, however even while dining our mysterious cast of characters will engage the guests in quiet conversation about the mystery at hand. A great evening or afternoon of dining, mayhem and murder at Center Stage Fontana!